You may have heard of Samar as frequently visited by typhoons and storms due to its location. However, you shouldn’t be disheartened by this. When you visit the island, you will soon find out that it is a home to lovely tourist spots that the locals consider as their hidden treasures. 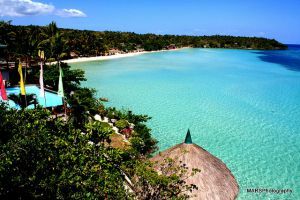 Situated in the Visayas, Samar has a lot to offer for sole backpackers and group visitors alike. 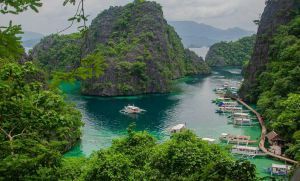 It has a fair share of nature’s bounty, including unexplored mountains and caves inhabited by exotic plants and animals. It also has pristine beaches with gorgeous coral reefs. Beaches and waterfalls can also be found in this stunning island. People who are looking for exciting activities will surely enjoy their travels here. They can try biking through the Allen-Catarman-Calbayog route, which is in better shape. They can also check out the river cruising adventure in Sohoton. Lastly, you probably would not miss seeing the San Juanico Bridge during the day. It stretches from Samar to Leyte across the Philippines’ San Juanico Strait. The bridge may have been damaged by Typhoon Haiyan in 2013, but it has been repaired. Samar is accessible by water, land and air travel from most parts of the Philippines. Either way, you will enjoy the trip. There are three airline companies that service the province today, namely Zest Air, PAL Express and Cebu Pacific. From Manila, travel time is 1 hour in approximate. It is also possible to travel by land from Manila to Samar via the Pan Philippine Highway, which happens if you have your own vehicle. From the port of Matnog in Sorsogon, you will need to take a ferry boat, with your vehicle on board. The ferry will cross the San Bernarino Strait, which takes two hours to Allen. From there, you can travel to Catarman via their winding highway. If you prefer public transportation, there’s no need to worry. Buses can take you to the provinces from the Cubao bus terminal in Quezon City. Again, the buses and passengers need to take the ferry to reach Allen. Travel time by bus is 14-16 hours. You can embark on a ship when in Cebu or neighboring Visayan regions. Daily trips from Cebu will take you to Calbayog City in the West, and these will take about nine hours. You can then take a jeepney or bus to Catarman, which usually takes one to one and a half hours. How to Enjoy Your Stay? When you visit Samar, one of the things to keep in mind are the places to stay and the restaurants nearby. Fear not, as Samar is abundant in both. Ciriaco Hotel in Calbayog is one of the best hotels in the area. Rolet Hotel and Marju Kristel are just among the places that most tourist love as well. For your dining experience, you might want to check out Kaonan sa Carayman for their delicious seafood dishes. There are also others you can find wherever you go in Samar. As mentioned, there are various activities everyone can try out here. Biking seems to be the famous, followed by zip-lining and river cruising. Surely, Samar is a place for everyone, including those who are in the quest for an unforgettable adventure. Samar is another place in the Philippines that boasts of amazing tourist spots that you will surely love. From natural spots to man-made wonders, you are certain to come back here and experience everything all over and again and again. Perhaps it is time to book your travel and get to experience a wonderful and memorable holiday with the rest of your friends and family.